Getting noticed in today’s job market isn’t as simple as it used to be. Your resume, LinkedIn profile, cover letter, and other career communications are an employer’s first impression of you – it’s all they have to go on until you’re invited to meet face-to-face in an interview; so the documents you submit better be impressive! 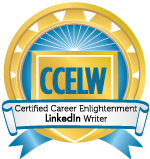 Top Resume Writing & Career Services delivers powerfully written, career-focused resumes, cover letters, LinkedIn profiles, leadership bios, networking letters, and other career communications for a variety of industries, professions and career levels. We are a Better Business Bureau accredited operation serving a range of career specialties throughout Huntsville/North Alabama and nationwide. Take charge of your career – contact us today to get started!